Previn was a fine conductor of most anything he put his mind to, and that included composers as diverse as Vaughan-Williams & Saint-Saens. He was also a composer of note, but his opera (Streetcar) was, I believe, recorded late in life by DGG, so it will not be included in this set. His technique was odd (Previn was not the clearest in the world: he started off as a jazz pianist! ), and I once watched the NY Philharmonic scramble to stay with him in an open rehearsal. I think I have enough of his work already to pass on this fine set. 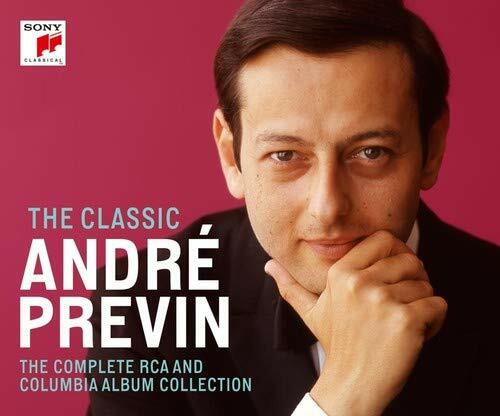 My catalogue shows about 110 CD recordings of Previn on all the major labels and many on other labels. While I don't have the entire RCA or Columbia recordings, I have many, especially with regard to collaborations with other artists. He also recorded hugely for DGG, EMI, Decca, and Philips. He was never my first choice as a conductor, but I thought his pianism was excellent. 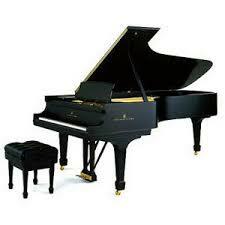 Amazing how many collaborations he participated in with major singers, pianists, and others. I will probably pass on this new Previn edition, too. It is good to know about it, however. Did Previn record any music from before the mid-19th century, and is it any good? All I've heard is late 19th to 20th century. Well, he recorded Albinoni, a bunch of Haydn symphonies, some Mozart on the piano and in collaboration with Frederica von Stade. I do not believe there was much else. I think it's worth pointing out that both Previn and Slatkin led English orchestras in making their excellent sets of the Vaughan-Williams Symphonies. He recorded Beethoven's 4th through 9th Symphonies for RCA as well as 5 and 7 for EMI. Also recorded the concerti with Ax as soloist and the Archduke Trio with Mullova and Schiff. He also recorded Mozart 17 and 24 twice (once with Boult for EMI and conducted from the keyboard for Philips) and Mozart 20 with Radu Lupu for Decca. Recorded all of the Mozart Trios with Anne-Sophie Mutter as well as both Mendelssohn Trios with her for DG. There are probably many other concerto recordings. However, most of the material mentioned above will not be in this box. Given that he was a major EMI artist they seem to have forgotten him. His 90th birthday is next year, so I wonder if Decca and Warner will likewise issue a tribute box. I hope so. I'd be interested. The only Previn recording I don't have on CD that I want is his EMI recording of the Bartok VC 2 (1938) with Itzhak Perlman and the LSO. I think its the greatest performance of this work ever recorded. I have the LP, but it is currently only available on CD as part of a BIG LSO multi-conductor megabox. The important thing, though, is they already have it available in CD format; all they have to do is repackage it and put it out as a separate issue. I once heard Previn conduct Beethoven's Symphony No. 2 at Tanglewood with the Boston Symphony Orchestra. I did not find it particularly impressive, but it was the BSO! No question, Previn is an highly talented musician with broad interests in a huge range of music. Given all the releases of mega-boxes these days, with already most of the very greats issued, companies are digging into their vaults to continue in this vein because people ARE latching on to these mega sets. I'm not opposed in any particular way to André Previn. After all, I already over 100 of his CD recordings, and a substantial number of LPs as well. Great followers of Previn will undoubtedly jump on the bandwagon for this issue. It would not surprise me at all that after Sony's issue, Decca/Universal and EMI will jump on the bandwagon. And then, that memorable televised session with Oscar Peterson. I saved a copy of that. Just a shame they won't be bringing this out as an LP box.